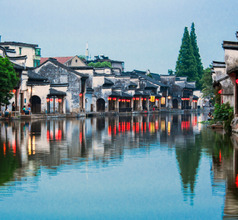 The Nanxun Ancient Water Town is a prefecture-level city in the Zhejiang Province of China. It is located on the Yangtze River Delta and consists of alluvial plains and rivulets that crisscross all over the town. 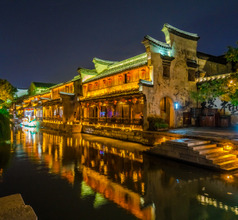 Being just an hour’s drive from large cities like Shanghai, Suzhou, Nanjing, and Hangzhou, the city has become a major tourist town. 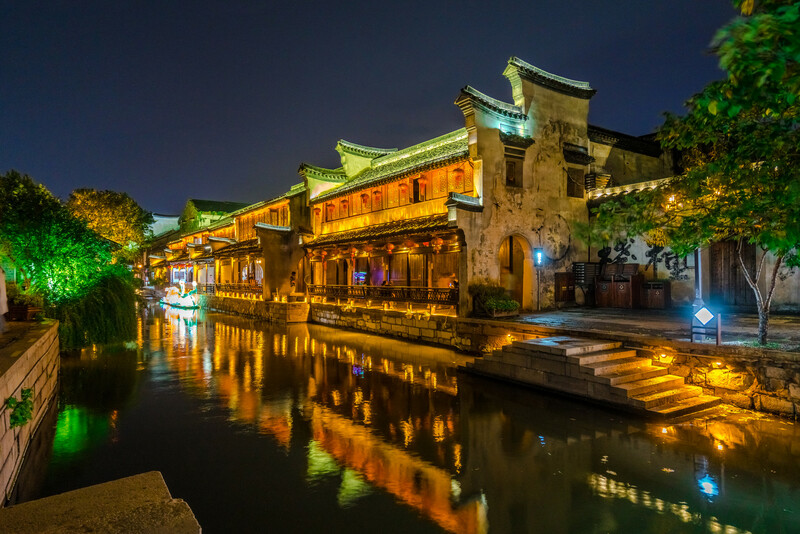 Nanxun is often called the “Rhine of the Orient” or “Oriental Venice” because the river runs through the city. 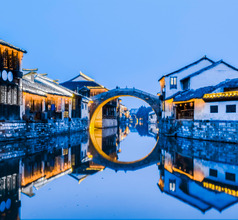 It has the typical scenery of a Chinese water town with artistically designed bridges, rivulets, boats passing along the river, ancient cottages on the banks, and historical and cultural tourist attractions. 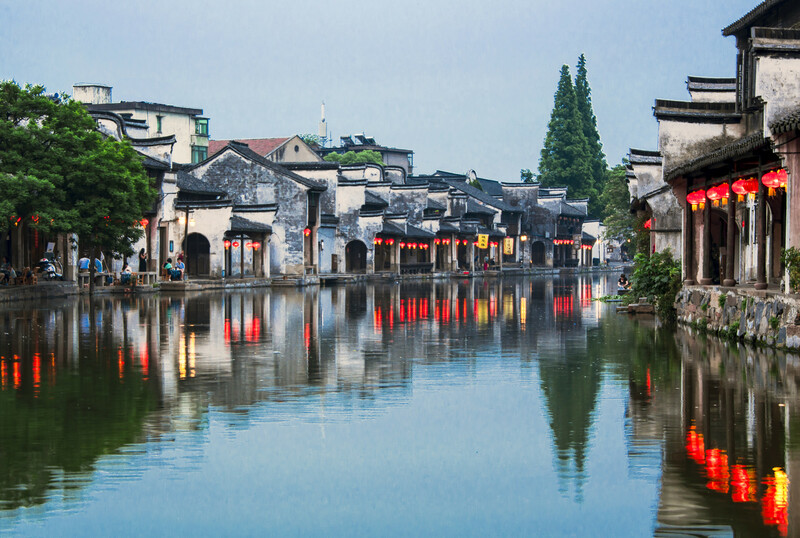 With a history of over 1,400 years, Nanxun City has many cultural sites built during the Qing Dynasty reign. In those days, it was a prosperous and bustling commercial town and the home of several affluent merchants. The wealth of the merchants was described by identifying them with animals. For example, the wealthiest merchants were referred to as elephants, the middle-class merchants were referred to as cows, and those who were worth only 500,000 were known as dogs. None of these descriptions were derogatory but were in fact used to honor the wealthy. Over the ages, the skyline in some parts of Nanxun City has changed. Old single or two-storied structures have been replaced by high-rises. Along with this, the infrastructure, the river transport system, and other facilities have improved to make the place a tourist-friendly town. 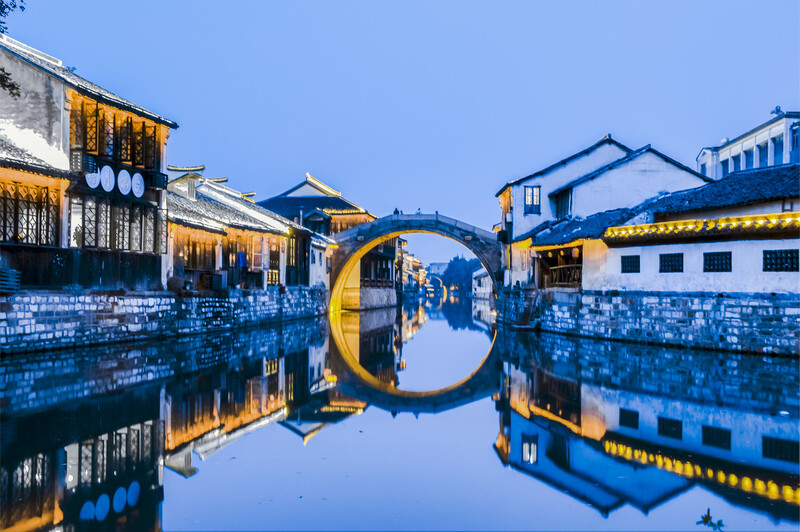 As Nanxun City is just an hour’s drive from four metropolitan cities, most tourists make a day trip to the city and stay in the metros. 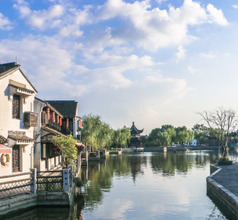 For those who wish to stay in the city and explore at leisure, it is best to stay in Huzhou town which is about 2Kms away. 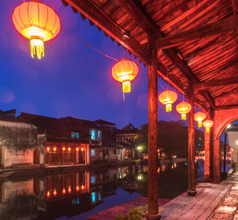 Huzhou has 3 and 4-star hotels and several guesthouses where they have permits to accept overseas guests. The amenities are limited compared to the 5-star hotels in the larger cities but the rooms are usually clean and spacious. An English-Chinese dictionary or mobile translation app will prove useful in case the hotel staff doesn’t understand English. There are boats to take tourists around Nanxun City for sightseeing and meals. The Little Lotus Garden was built during the Qing Dynasty and has an Imperial-style architecture. It was the private property of a wealthy merchant of the times. 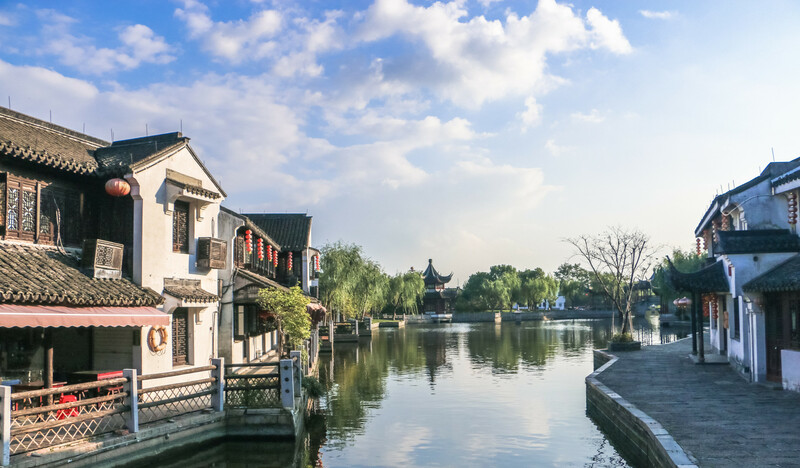 The villa has several lakes within its compound, tree-lined avenues, ornamental Chinese gardens, and a large number of camphor trees in the backyard. The Jia Ye Tang Library nearby has a vast collection of well-preserved historical documents. The complex has a magnificent garden with a lotus pond, rockeries, ornamented corridors, and pavilions. Chongde House, also known as the Red House was the former residence of the Liu family. It has an unusual architecture. Part of the house follows the Romanesque style and part of its design is based on Confucian philosophies. 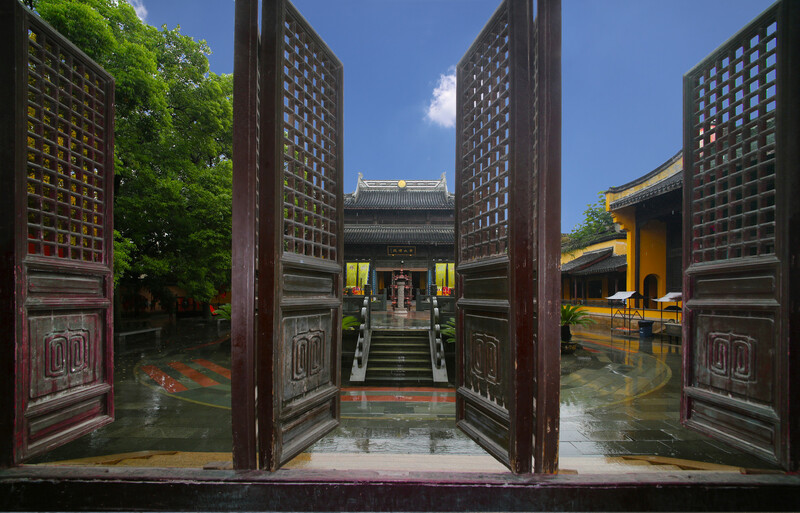 Guanghui Taoist Temple, also known as the Zhangwang Temple was built during the Northern Song Dynasty and is 900 years old. 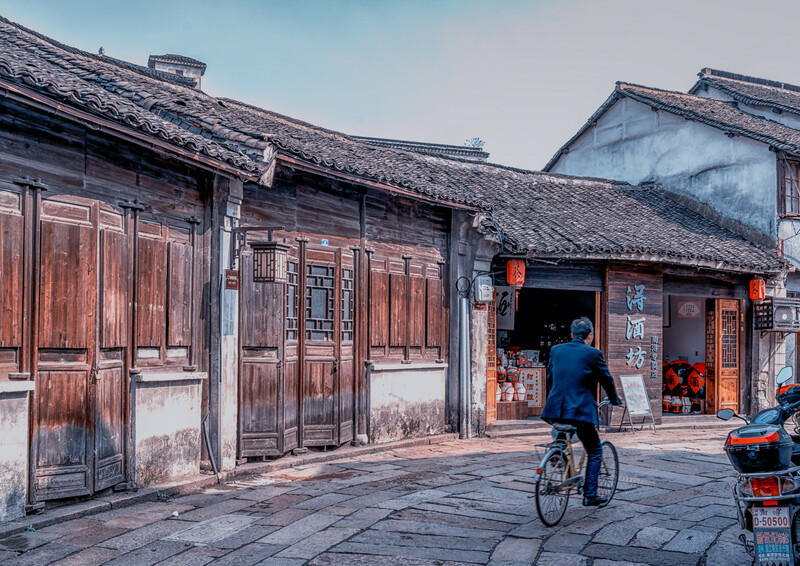 Today, it is a Taoist architectural heritage site rather than a place of worship. Zhang Jingjiang was one of the wealthiest merchants in Nanxun City. The Zhang Former Residence was built during the Qing Dynasty and is spread over an area of 4,800 square meters. 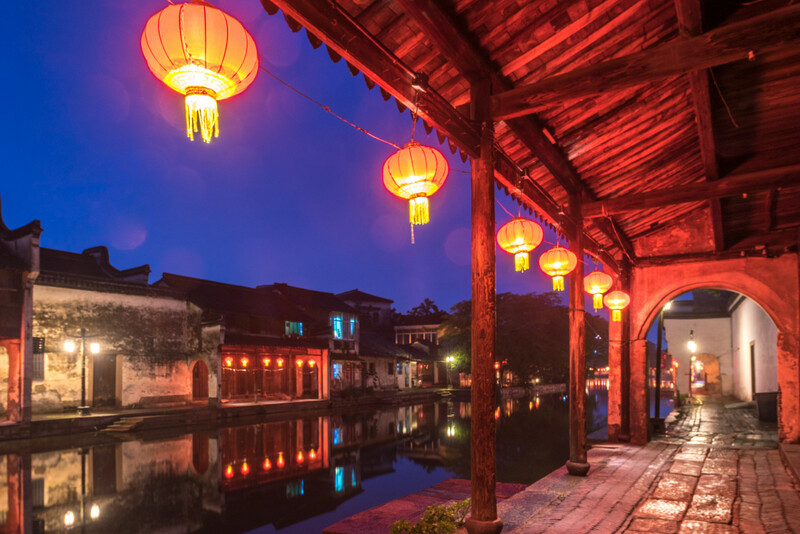 The property has several buildings with traditional Chinese architecture, beautiful carvings, landscaped ornamental gardens, pavilions, private temples, and more. The Qiushuli Villa built in 1930, on the other hand, is different from the other ancient structures in Nanxun. 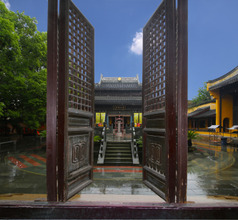 The architecture is a mix of western and Chinese styles. The villa was owned by Liu Chenggan who owned the Jia Ye Tang Library. The house has been painted by several artists and photographed constantly for its sheer beauty. 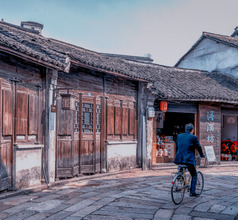 Other tourist attractions in Nanxun City are the Nanxun History Museum, Zhang Shiming’s Former Residence, and the One-Hundred Residential Houses scenic area. The restaurants in Nanxun City serve Chinese food. There are many teahouses where their local snacks are available with a generous pot of tea. 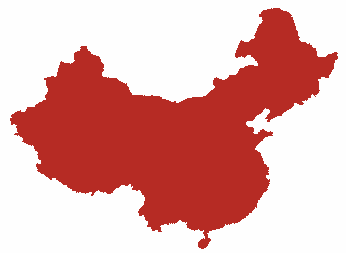 They are located along streets of Nanxi Jie, Nandong Jie, and Dong Dajie. The dishes are not expensive and the food mostly tastes like home-cooked food. The meals consist of tofu or meat which are served with either noodles or rice. A few of the local specialties are stir-fried garlic pork, home-style tofu, gelatinous candies, etc.